Trgovska Gora is one of the places which is just a dot on the map on the border between Croatia and BiH, but that dot has become one of the most important places for the future relations between the two states. The problem is that Croatia has there a facility that wants to use as a landfill for nuclear waste. Since it is so close to the border, BiH citizens in cities near that location raised their voice demanding that the state does everything to protect their health, the health of their children and future generations, but also the nature because the beautiful river Una flows through that area. 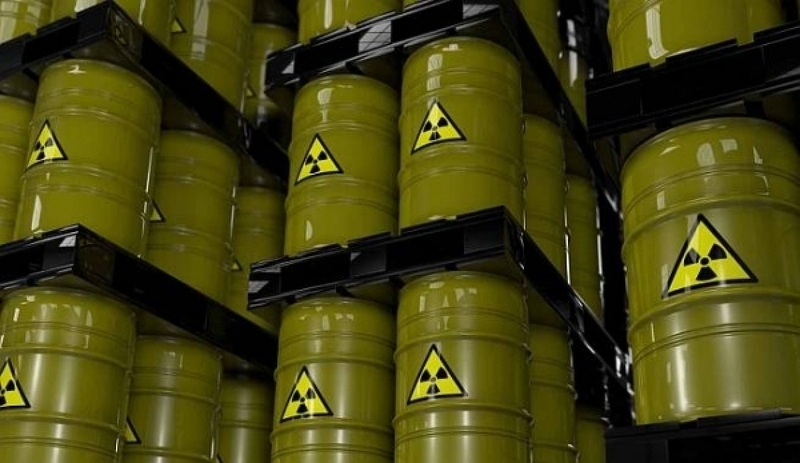 BiH authorities said that, according to international conventions, it is not possible to dispose nuclear waste so close to the border, but it appears that Croatia has decided to disregard that fact in this case. BiH state, and Republika Srpska as entity, relevant ministries are trying to convince the Croatian authorities to find another location, but for now their pleas have fallen on deaf ears. “The intention of the Croatian authorities to build a landfill of spent nuclear fuel and radioactive waste in the immediate vicinity of the border with another country, which does not have a nuclear power plant on its territory, is unprecedented in the whole world, said for IBNA the spokesperson of the RS ministry for spatial planning and ecology, Gorjana Rosić. She added that, despite the constant insistence, the RS Ministry of Spatial Planning and Ecology has no official knowledge of the activities of the Republic of Croatia about this issue. “There are no official responses to inquiries and initiatives coming from Republika Srpska and BiH, by the authorities and institutions of the Republic of Croatia! All our knowledge was obtained indirectly, from the media and regular monitoring of the portal of Croatian institutions. This position of Croatia is not in line with good neighbourly relations, but also with the obligations that were taken at the meeting, which was held in May 2016, when it was said that we would be informed about everything”, Rosić said. BiH experts claimed that the location is inadequate for this type of facility, that experts from Croatia did not take into consideration the possibility of landslides, that this area is seismically active and that a large number of watercourses exist. Also, the location is in the middle of the agricultural area and the products would have the lower price endangering the income of a number of households in Croatia and BiH. At the other side, Croatian experts, long time ago, concluded that Trgovska Gora is the best location according to seismic, static and other geological criteria. Also, according to them, the population density is in the acceptable frame for this kind of facility. They also claimed that it is not true that it is unusual that nuclear waste landfill location is near a state border, citing the example of Slovenia which has such a facility just 10 kilometers from the Croatian border, but Croatia never had the problem with it. In these circumstances, the RS Government decided to declare this area as a nature park, which will take the territory of several municipalities, with the intention that granting such a status will be a strong argument against the construction of a landfill. It is not too late because the Croatian Sabor (Parliament) still has not made a final decision on the landfill. The most important question is how much of nuclear waste does Croatia can have and can dispose off at the Trgovska Gora facility?